“The Bloody Tide” appeared in the June, 1950 issue of Dime Detective. John D. MacDonald (my favorite writer) also appeared that month. Both men had stories in the May issue as well, with JDM scoring the cover. The story opens with Charlie White being released from a Florida prison after serving three years for smuggling. He’s given some advice by another inmate on Death Row to go straight and stay on the outside. Get back to working on the water, even if it’s a menial job. Wouldn’t be much of a story if that’s how things go, though, would it? White’s lover (not his wife) is waiting outside for him and drives him to a secluded beach cabin. He’s going to get back into that fast life again. While he was in jail, $1,000 had been deposited monthly into his bank account, presumably by the ‘big man,’ who he felt had cast him to the wolves. “Nothing to Worry About” first appeared in the August, 1945 issue of Detective Tales. It also included stories by D.L. Champion, who you read about here, and William R. Cox, who I will be writing about soon. Assistant State’s Attorney Brad Sorrell is a rising star in Chicago. He’d be a great candidate for the Senate, if not for Frances, his embarrassment of a drunken wife. She’s all that is holding back what he is certain would be a meteoric rise. Whereas his mistress, Evelyn, would be the perfect accompaniment. So, as he departs the plane, he is ready to carry out his flawless plan to remove this large obstacle. In his job, Sorrell argues that men should be given the death penalty for taking a life; and now he is going to do the latter. He realizes this – but he’s also uniquely qualified to beat the system. Sorrell uses the knowledge he’s gained from his professional experiences and Keene does a nice job keeping the suspense up as we follow along, and the ending is pulp satisfying. “Sauce for the Gander” was the first of only two stories that Keene landed in Black Mask, appearing in May, 1943. In it, a high school chemistry professor wants to kill his wife so he can be with his mistress. Sounds kind of familiar, eh? The central character comes across as less competent and qualified for his self-appointed task. I prefer the prior story, though this one also has a satisfying ending. In June of 2008, I had read Keen’s novel, Home is the Sailor, the seventh book from Charles Ardai’s recently established Hard Case Crime (surely you read my Q&A with Charles here…). Seemed fitting to read it again as I worked on this essay. I didn’t remember much about it, other than I liked it and it had a cool cover (by Richard B. Farrell and Gregory Manchess). I wouldn’t call 1952’s Home is the Sailor hardboiled, but it is a very good noir. Swede Nelson has been saving his money and is ready to give up the sea, return to his hometown in Minnesota and buy a farm. It’s time to settle down. Gee…that would be a boring story. Fortunately, Keene has other plans for the big, strong, rowdy sailor. He wakes up in a bed in a motor court cottage, bloodied and missing his fifteen thousand dollars. He remembered cleaning up in an illegal dice game, being accused of cheating and fighting his way out of it all. Then, while drunk, a beautiful female named Corliss took charge of him. Corliss owns the motor court and events move along in typical noir fashion. There is a horrific event that shapes the rest of the story. It’s difficult to weather, but just keep moving along. A classic element of noir is that partners in some illicit activity become suspicious of each other. Keene is a master of fair play misdirection in this book (and he does give an early clue that I picked up on) and you wonder what exactly is going on as Swede and Corliss advance the plot. And things happen in a matter of days. There’s no break in this one. The story is told from Nelson’s perspective, and he’s a heavy drinker, so the reader has to piece things together as he does. I think it works well enough. I read far more hardboiled than noir. A movie example would be that I prefer Bogart’s The Maltese Falcon over In a Lonely Place. But I like this noir novel from Keene. I’m not completely sold on the wrap up, but overall, I’m as pleased with my second read as I was with my first. Day Keene (real name, Gunard Hjerstedt was a stage actor in Chicago in the early twenties. 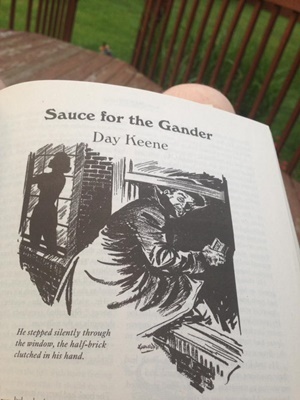 When his friends, including Warner Brothers’ dependable gangster Barton MacLane, decided to try their luck in movies, Keene decided that writing, not acting was his calling. 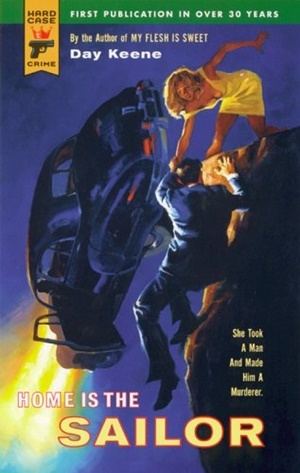 Keene wrote solid, fast-moving, violent hardboiled pulp in the forties and into the early fifties. Then, he transitioned into the emerging paperback market, appearing under such imprints as Ace, Gold Medal and Avon. Keene’s stories have an intensity to them and often involve the protagonist under duress due to false accusations. Keene wrote nearly until his death in 1969 at the age of 65. In a bit of trivia, his novel Chautauqua, was adapted as the Elvis Presley movie, The Trouble With Girls. Cool & Lam are Back! Bob Byrne’s ‘With a (Black) Gat’ appears weekly every Monday morning at Black Gate. His ‘The Public Life of Sherlock Holmes’ column ran every Monday morning at Black Gate from March 2014 through March 2017 (still making an occasional return appearance!). 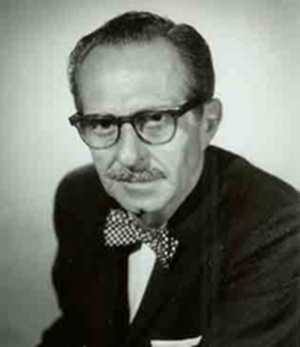 He also organized Black Gate’s award-nominated ‘Discovering Robert E. Howard’ series. He is a member of the Praed Street Irregulars, founded www.SolarPons.com (the only website dedicated to the ‘Sherlock Holmes of Praed Street’) and blogs about Holmes and other mystery matters at Almost Holmes. He has contributed stories to The MX Book of New Sherlock Holmes Stories – Parts III, IV, V and VI. And coming this summer, look for another Robert E. Howard series with an all star cast!